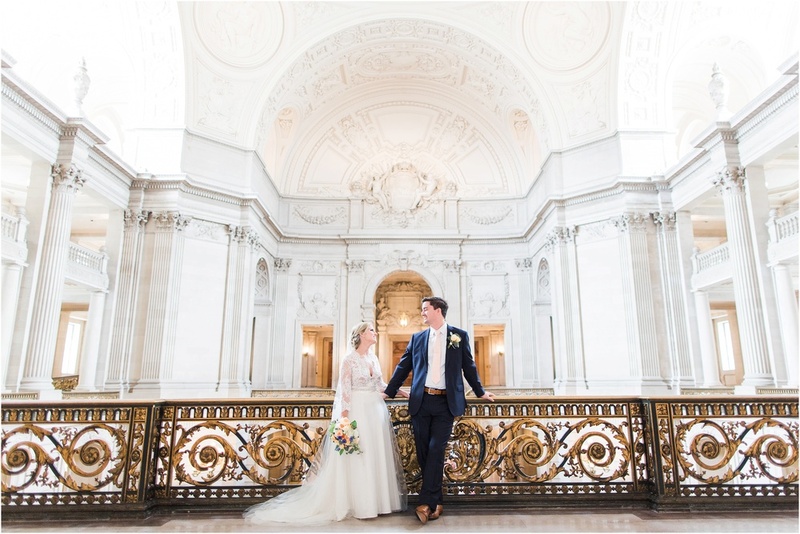 What happens when you mix San Francisco City Hall with elegant, Texan flair and a whole lot sweet, southern attitude? The answer: pure photography magic! 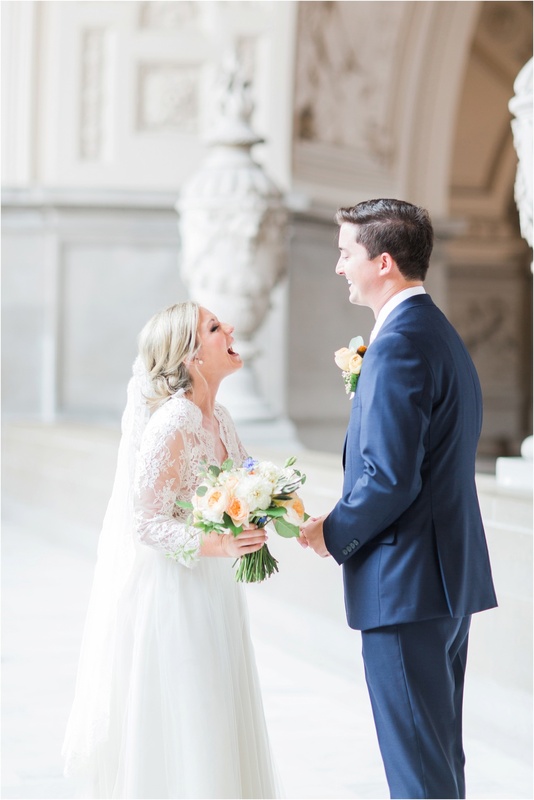 Laura and Zach decided to host their destination wedding in San Francisco, where they rented out City Hall's fourth floor north gallery to share the unique beauty the building offers with all of their closest family and friends. 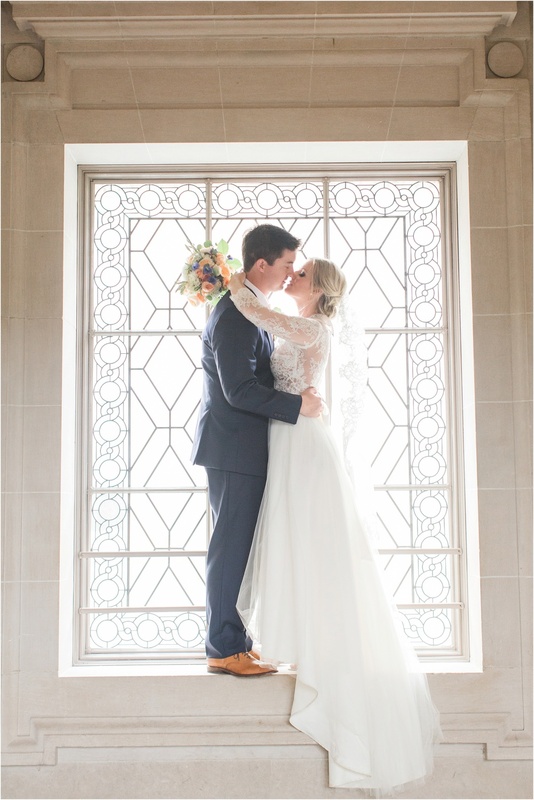 Laura's gorgeous gown was actually pieced together by her and we love how it turned out! By her side were her adorable bridesmaids, each showing off their unique style while still looking glamorous and cohesive. 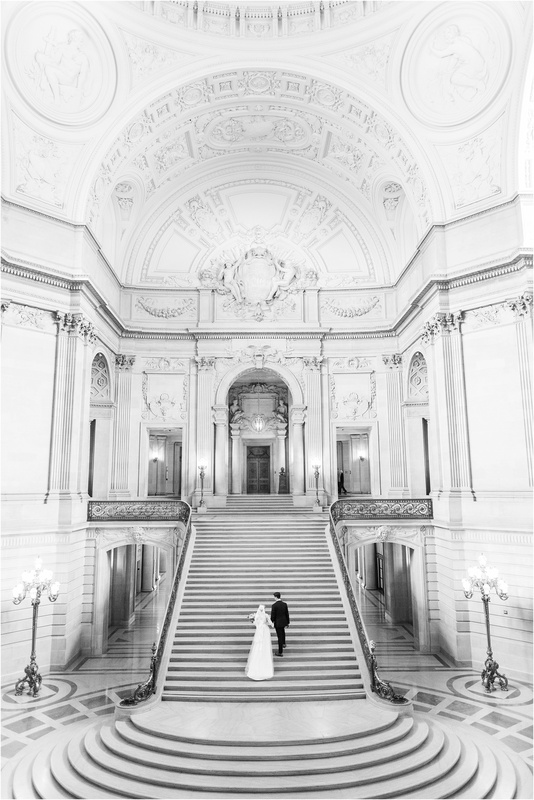 We arrived to City Hall nice and early to avoid the crowds which made it perfect for those empty staircases shots. 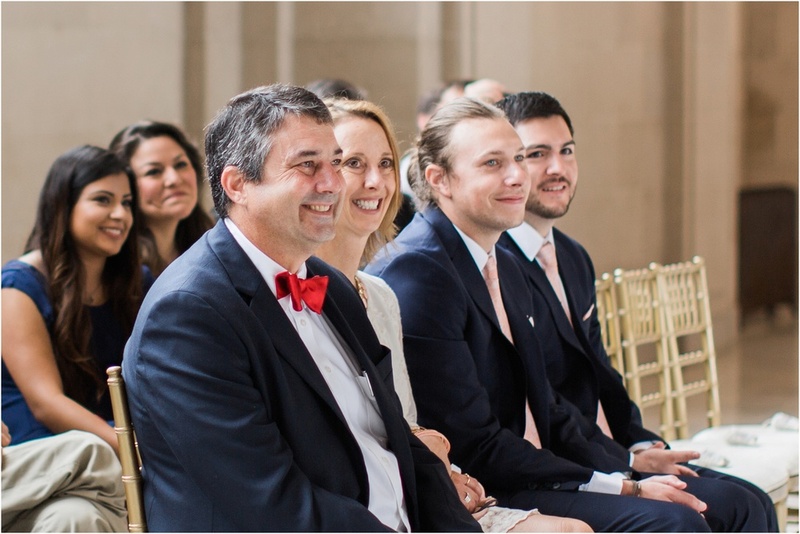 Laura's dad acted as the officiant for their ceremony, and being a pastor himself, had all of the guests in both happy tears and fits of laughter. His personal stories made my heart melt. 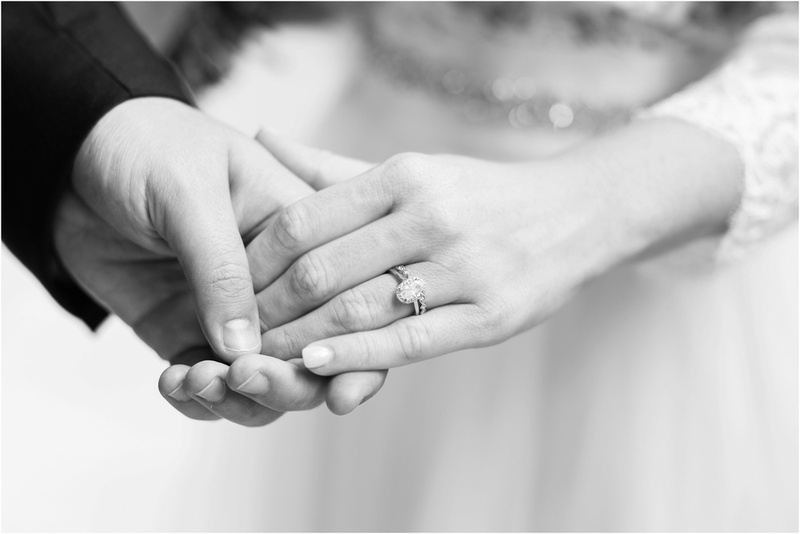 Laura and Zach, you two are such a wonderful and easy going couple! 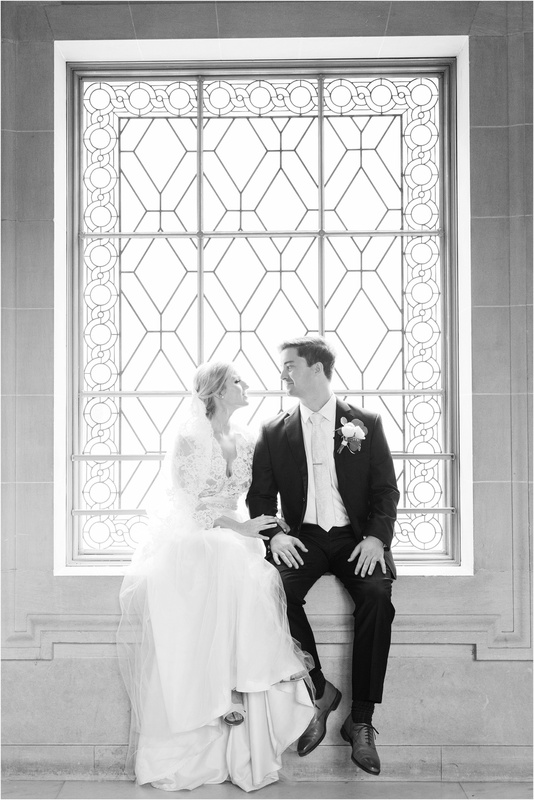 Thank you so much for allowing me to photograph such a beautiful day!